For Mesilla Valley farmers, the metaphor rings true in other ways as well. Though they live in New Mexico, the residents of the roughly 90,000-acre-area are caught between their own state and Texas. The Rio Grande water they depend on is not technically New Mexico’s water, but rather part of the water that goes to Texas under the Rio Grande Compact, a treaty ensuring that Texas, New Mexico and Colorado get their fair share of the river. 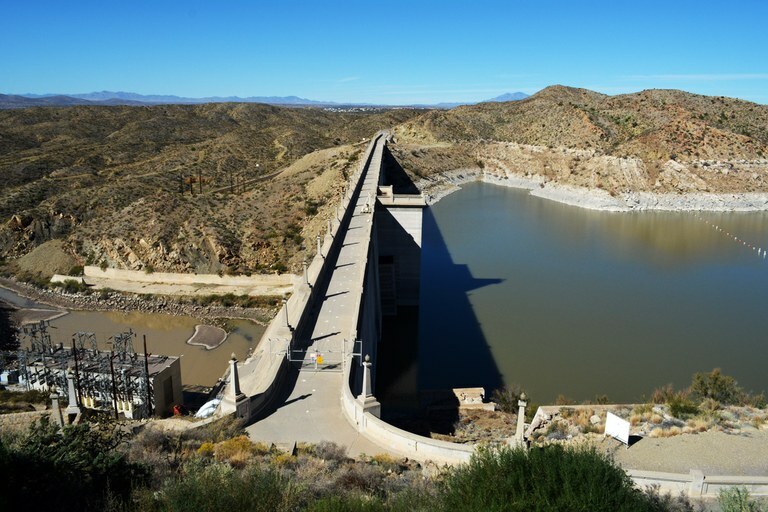 New Mexico’s delivery obligation to Texas hinges on collecting enough water in Elephant Butte Reservoir, 90 miles from the Texas border and the neighboring Mesilla Valley. Unfortunately, that leaves the farmers downriver in a complicated no-man’s-land of interstate water management. After more than a decade of back-and-forth between New Mexico and Texas, the fight has finally reached the Supreme Court. The first round of oral arguments took place on Jan. 8, with a final decision expected by early spring. For the farmers, the conflict has only heightened their sense of isolation from their own state — and made the costs of poor water management in a hotter and drier West more obvious than ever. Elephant Butte Dam is filled by the Rio Grande and sustains agriculture in the Mesilla Valley of New Mexico. In 2014, Texas fired back with its own lawsuit against New Mexico, bringing us to today’s scenario: If the Supreme Court rules against New Mexico, the state budget will take a hit. New Mexico could owe billions of dollars in damages — on top of the $15 million already spent on legal fees — and potentially have to find additional sources of water to send to Texas, as a way to make up for its groundwater pumping.